Hello lovely people, how are you all on this chilled Sunday? I am currently writing this whilst watching Notting Hill (hellooo Hugh Grant) the perfect Sunday don't you think. Yesterday was spent mooching around Dalston with my housemate, we hit up the charity shops and made a beeline for the pub enjoying a liquid lunch and then, in amongst all the fun we took these photo's (my housemate was hiding some photography skills it seems!). I am again wearing my Superstars in this outfit, they haven't left my feet since I bought them and they go perfectly with my new shirt dress from F&F and of course a classic camel coat. 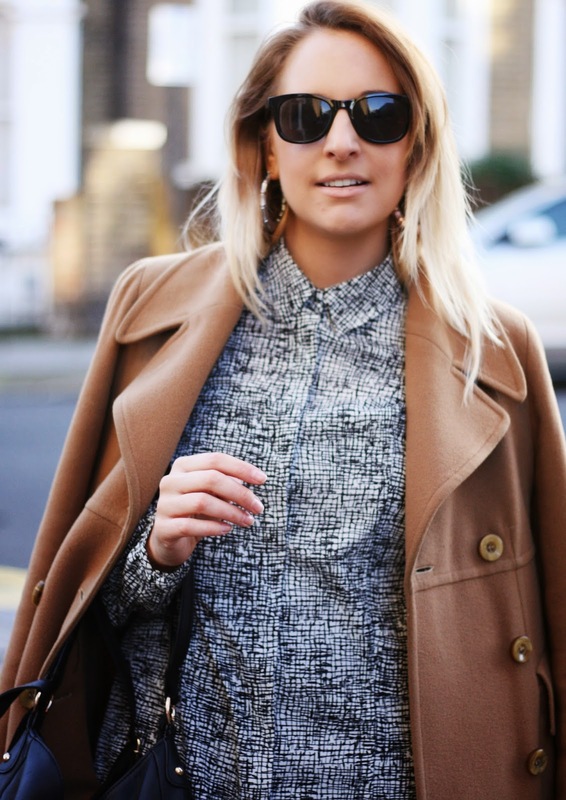 Love the coat and the contrasting textures! Really cool outfit. I have enjoyed reading your blog this afternoon my lovely! 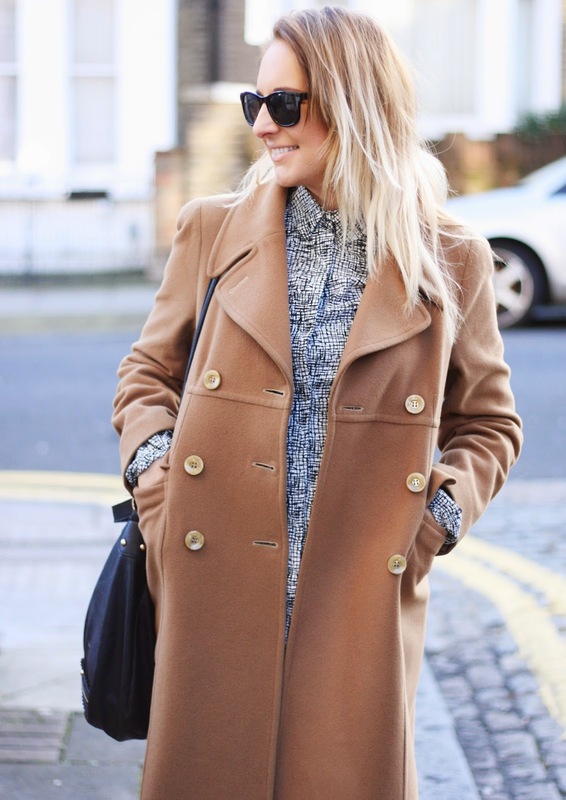 That camel coat is gorg! Great outfit, looks good on you. 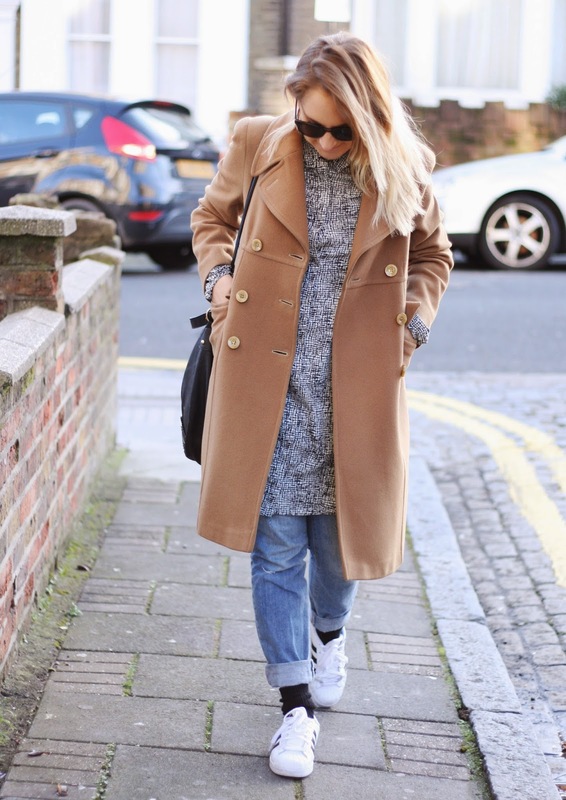 Camel coat is a must have for this season !